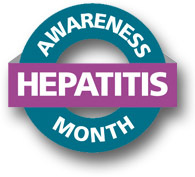 During May’s month-long observance of Hepatitis Awareness Month, we also observe National Hispanic Hepatitis Awareness Day (NHHAD) on May 15th. NHHAD is an annual event organized by the Latino Commission on AIDS to raise awareness of viral hepatitis and encourage testing, diagnosis, and linkage to care. We invite you to learn more about viral hepatitis among Hispanics and take action.